In the current age of social media "brand influencers," there's always some blogger talking about how much they "LoOoOoVeEe this amazing new product from Brand X" in their sponsored blog post filled with affiliate links to what is probably a not-so-life-changing product. Well, at the risk of sounding just as obnoxious, I REALLY HAVE TO TELL YOU ABOUT THIS PRODUCT I'VE BEEN USING THE CRAP OUT OF: Aurifil's monofilament thread. 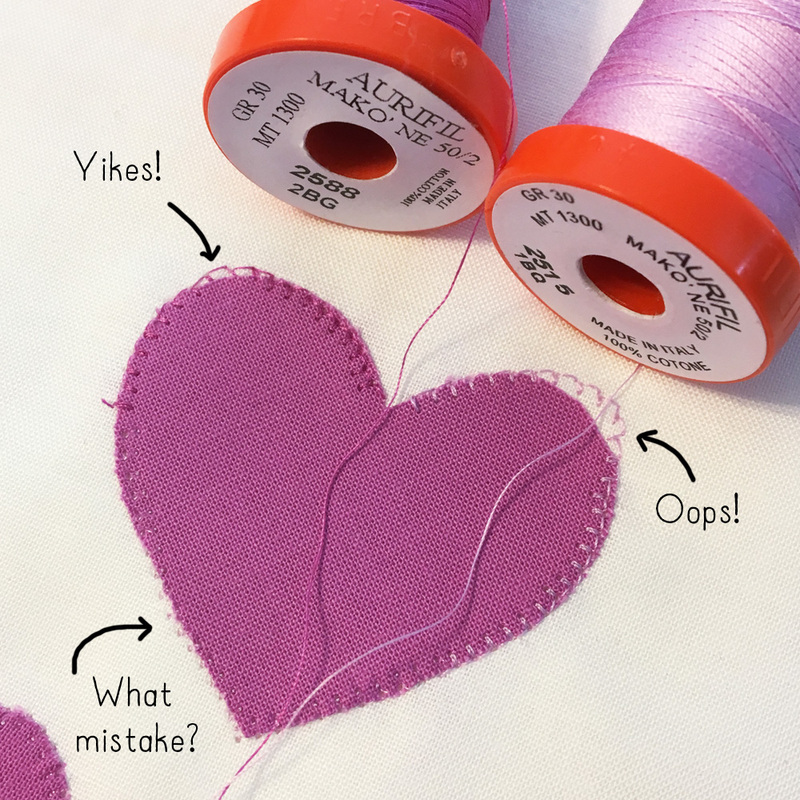 Disclaimer: Aurifil did send me two free spools of the thread for this tutorial, but this was at my request after I months of using it, having purchased a cone with my own money. I mainly wanted to make sure that the spools didn't suffer from the issues I experienced with a different brand I'll mention later. You may remember "Quilt Purgatory" from my Instagram late last summer. I had a stack of like...seven or eight quilt tops that I felt obligated to finish before I could move onto new projects. Faced with the task of rapid fire quilting so many quilts, I turned to invisible thread as an alternative to buying a ton of new thread colors to match all these quilt tops. 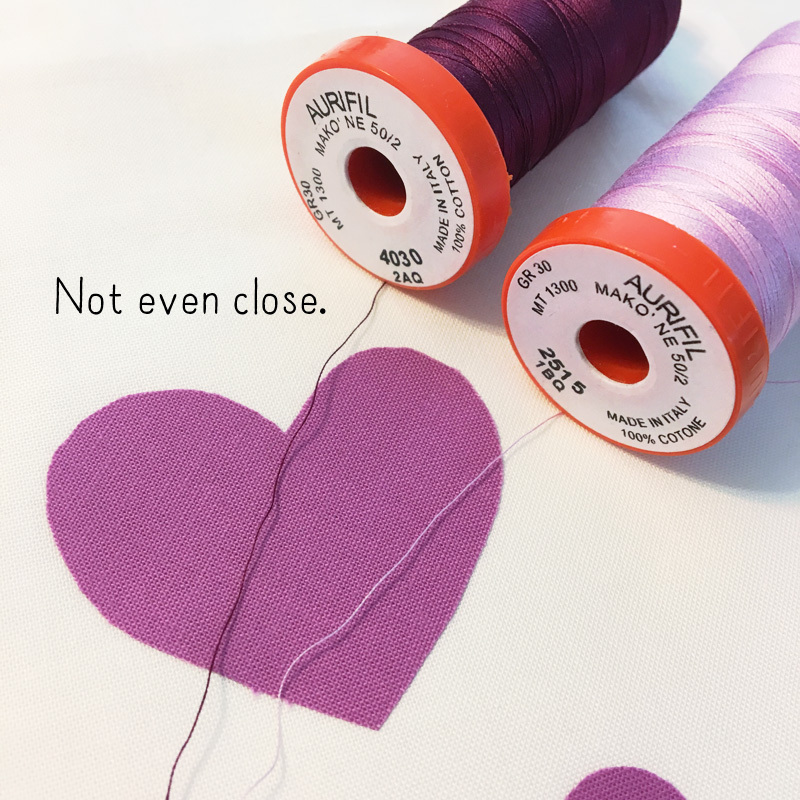 I ended up falling in love with Aurifil's monofilament thread and I've used for every single quilt I've made since I discovered it. It's a nylon "invisible" thread available in two colors: clear (for use on light fabrics) and smoke (for use on dark fabrics). Thread your machine with the monofilament, loosening the top tension slightly. For the bobbin, use a 50 weight cotton thread in a color that matches (or is close-ish to) your quilt top. You match the bobbin to the quilt top because sometimes the bobbin thread pulls up and becomes visible from the top as little dots, which you'll see below. But guess what this means? Wherever you'd normally be changing thread colors and rethreading your entire machine, all you have to do is switch out a bobbin color. Huge time saver! The time saving aspect isn't the only benefit. Monofilament means I can get away with having a smaller selection of thread colors for applique and quilting. Example time! Let's say I want to applique these Kona Gumdrop shapes onto a white background. I need a color to match my applique, but these are the only two pink thread colors I have. Poop, both are terrible matches. If you put a gun to my head, I guess I'd pick the lighter color, so let's give that a go with my preferred stitch, the blanket stitch. No surprise here. It doesn't look great. BUT, what if I switch the top thread to the monofilament and leave that light pink in the bobbin? It looks way better! The bobbin thread still pokes up slightly, but becomes less obvious as I reduce the thread tension (on the top half of the circle) a little from my normal setting. Having the perfect thread match may be the best option, but I'd say this is pretty good without having to buy any more colors. The other reason I like this thread for applique is that it hides your mistakes for you. Even if you're using a pretty close color for your applique, if you get off course, it will be painfully obvious. Not the case with monofilament! As I said earlier there are two colors to choose from, clear and smoke. Smoke looks black on the spool, but it's a tricky chameleon. 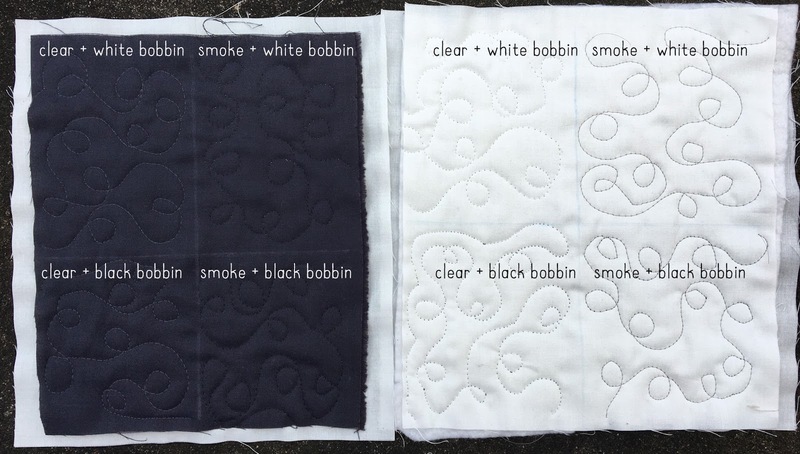 Personally, I have zero problem the way the clear shade looks on dark fabrics, but I will concede that smoke blends better. Unless you're a lot of super dark fabrics, I think you can get away using just the clear. 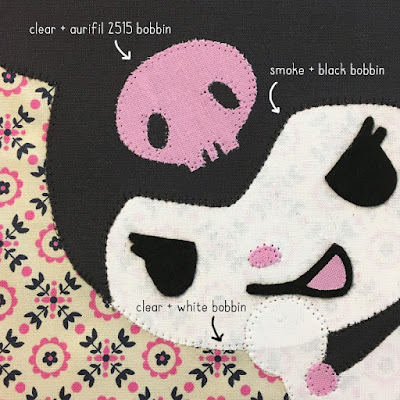 If you want proof, look at this album of my Overwatch quilt, which I appliqued and quilted with only the clear monofilament and handful of bobbin colors. Here's two test quilt sandwiches I made to show what the two colors look like on a dark charcoal fabric and white fabric. I think the clear thread on dark fabric looks worse in photos than it does in person. So now that I've shown you that monofilament is awesome, why Aurifil specifically? Well, I actually started off trying the Coats & Clark monofilament. It looks almost exactly the same as Aurifil, but sewing with it makes me want to tear my hair out. It's unruly and tangles if you even look at it funny. It constantly would unspool prematurely and get tangled in my machine. It was seriously nightmare. Plus, it feels much stiffer, almost like a thin fishing line. Any untrimmed threads feel horribly pokey and scratchy. Ick. Coats & Clark is like a nasty feral cat to Aurifil's sweet and gentle lap cat. So yeah, if you hate having to buy matching thread, this stuff is magic. The latter would be my answer. I definitely don't have top-worthy color matches for most of the quilts I've done lately, but i can always find something acceptable as a bobbin thread. Worst case scenario, I use a medium gray. I am using Superior Threads MonoPoly Monofilament right now and was curious if you've tried it? 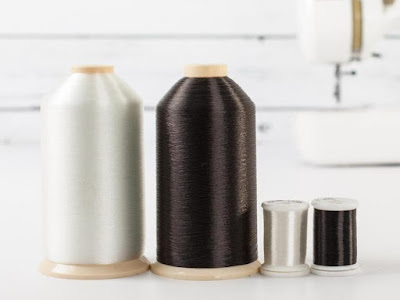 I have never tried the Aurifil monofilament, so I'm curious how they compare! Great review and ideas! No, I haven't tried that one. Realistically I probably won't end up trying it because I'm very happy with Aurifil's. Also the fact the Superior's version is poly brings back the awful memories of the C&C poly. I'd be concerned that I'd have similar problems. Hi, How does this thread hold up to ironing? Great! I haven't had a single problem ironing over it. Thanks! I'll be ordering some now.